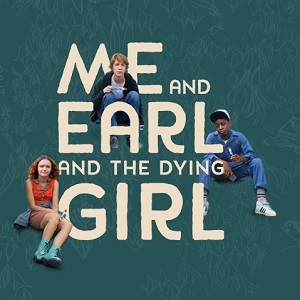 I spotted a recommendation (thanks Craig) for Me And Earl And The Dying Girl (US) a while ago and decided to buy a copy. It’s been on my shelf since and I took it down recently because I wanted something a little different to read. I guess I needed cheering up and this seemed to be the best choice available. I’m not typical of the intended audience (in fact, I’m about as far from young adult as you can get), but I really enjoyed this tale. There were a few hurdles to jump before I got into the swing of things, mainly in adjusting to style, time and place, but it wasn’t hard. I was soon laughing at the bumbling nightmares associated with teenage angst. Greg, the narrator and the Me of the title, is particularly fun to follow as he twists and contorts his way of being to try and fit in with everyone. He’s also terrible around women he finds attractive and his clumsiness and pratfalls around them are a treat to read about. Greg’s forced into linking up with an old friend of his by his mum. The friend in question is Rachel and the reason she needs company is that she is dying of leukaemia. His job is to cheer her up and help her fight, but his qualifications for it are zero. Enter Earl. Earl is Greg’s partner in the world of film-making. 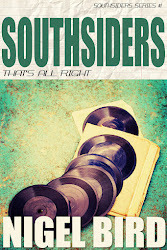 They put together curious pieces to entertain themselves and to pay homage to the off-the-wall films they like to watch. He joins in with the mission of helping Rachel and their efforts form the central theme of the story. The dying girl is a crucial ingredient to the tale yet, as Greg points out, she’s not the centre piece. Greg is the main feature – he’s far too selfish to be able to remove himself from the spotlight. That’s fair enough given that he’s the narrator. It’s also important as it’s the journey towards the realisation that he’s been thinking about himself far too much in all this that provides the core of the story. The writing is broken down into small chunks. Jesse Andrews takes frequent turn-offs from the freeway to delve into film scripts and screenplay-like dialogue. This is refreshing and engaging and provided that cheering up I was after. I couldn’t buy into all the elements of this tale, but that’s probably because I’m on the wrong side of middle-age. With a few exceptions though, I’m glad I followed the recommendation I spotted. It’s funny, witty, sometimes moving and hit the spot I needed it to when I began. Very pleasing. 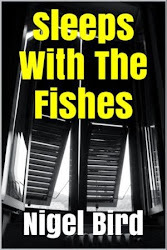 Thirty free books from the mystery and thriller genres. 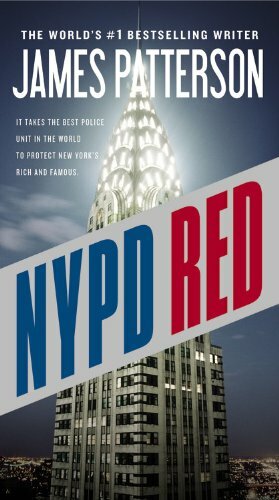 I picked up a copy of NYPD Red (US) out of curiosity. James Patterson fills shelves in the library, bookstores and charity shops and he also appears all over my Facebook page offering places on his writing courses. 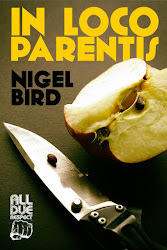 The man clearly knows how to write and how to sell books and I thought it might be a good idea to find out if I could learn anything from taking a peek inside one of his novels. 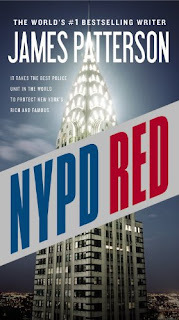 NYPD Red is immediately gripping. A film script describes the action of a murder in a posh New York hotel. The victim is a Hollywood hotshot and the killing is carried out in exemplary fashion. The scenes move on to further killings to film celebrities and has the LA set leaving the city in droves. Enter our detectives. Zach and Kylie are thrown together to solve this one. Zach’s a hard man who likes his yoga and his women and Kylie is ambitious and tough and happens to be married to a film producer. The pair also happen to have previous – a relationship that sparkled and fizzed and burned out too quickly for Zach’s liking. For the first third of the book, I forgot that I was trying to learn anything. It zips by and each hook sank under my skin. After a while, though, I began to disengage. The jumping from one scene of tension to the next felt manipulative and the thrill lessened as the outcomes became more predictable. The early pleasure derived from getting to know the cats and the mice in the story slowly deflated as they became less substantial and confined by their roles. Hitchcock’s adage about showing the audience the bomb was taken literally and employed all the way along. The explanations about why something would work and wouldn’t either telegraphed what was coming or rounded things off in ways that felt unnecessary. I also found that everyone in the book, with the exception of a few bit players, spoke in pretty much the same way and the lack of variety became irksome. There was still the odd surprise to keep my attention, but in the end I just wanted to reach the resolution in a hurry. My biggest issue with the book is that I didn’t really care enough about anyone. 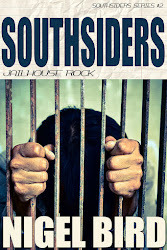 The skill all seemed to have been focussed upon the drive and energy of the action and the determination to keep the reader moving from one chapter to the next without pausing for comfort breaks. To a point this is successful. What I struggled with was that there didn’t seem to be anything else to it. It’s like the swan analogy in reverse. You can see the legs kicking like hell under the surface, but rarely get a sense of the grace and beauty of the creature above the water. I think I did learn something about my own work from this read. On the one hand, I should probably ramp up that tension and create more of an appetite in a reader where that’s appropriate. On the other, I should continue to strive to create beating hearts for my characters otherwise the action is just movement and pace. My conclusion on NYPD Red goes something like this. If you’re looking to escape or just relax and want something to distract the mind, this is likely to serve you well. It’s probably a good holiday read, but it’s also a big book. I don’t think it warrants all the space it would take in your suitcase, but if you pack it in on your Kindle you could be in for a few hours of entertaining fun.